Metro, Trio and Evo exist within Millenia, but also boast their own special community features, exclusive to Meridian owners. Meridian homeowners share a beautiful resort-style pool, and an adjacent tiered grass area that features gathering spots for barbequing, outdoor dining and get-togethers. Welcome to South County’s New Urban Hub. It’s the atmosphere and aura of big city streets combined with the charm and ease of a neighborly small town. It’s bold. It’s stylish. It’s a focal point. It surrounds you with style, convenience and sustainability. It’s walking to everywhere and everything. It’s the atmosphere and aura of big city streets combined with the charm and ease of a neighborly small town. It’s an energy and a buzz so vibrant and fresh, that it will shake you from your suburban slumber. 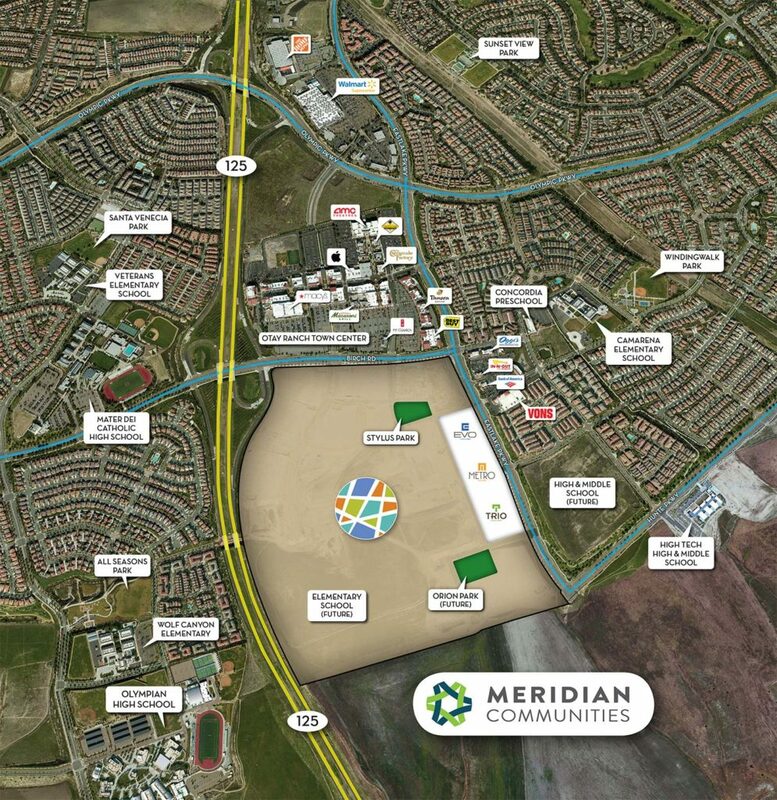 It’s Millenia—South County’s new urban hub. Imagine literally running errands, walking away your worries and simply getting to and fro on foot thanks to Millenia’s walk-friendly design and environment. Millenia residents can get groceries, bank, pick up dry cleaning, shop and dine all within minutes of their homes. 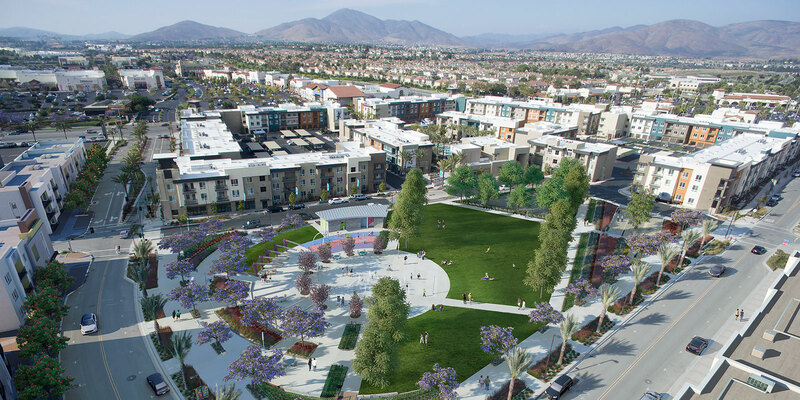 The 1.7 acre Stylus Park will feature an interactive fountain, bocce courts, dog parks and playgrounds. It is one of six planned urban parks in Millenia, all of which are strategically located, so every resident will be within a three-minute walk of a park.